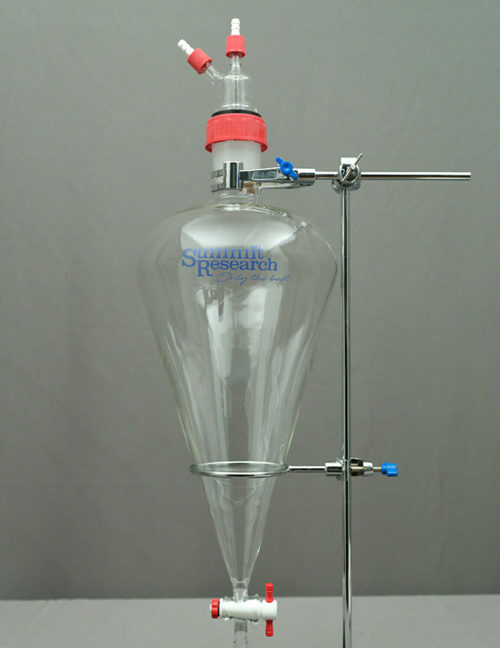 Introducing the “no-fuss separatory funnel” comes with a rodaviss 45/50 cap. 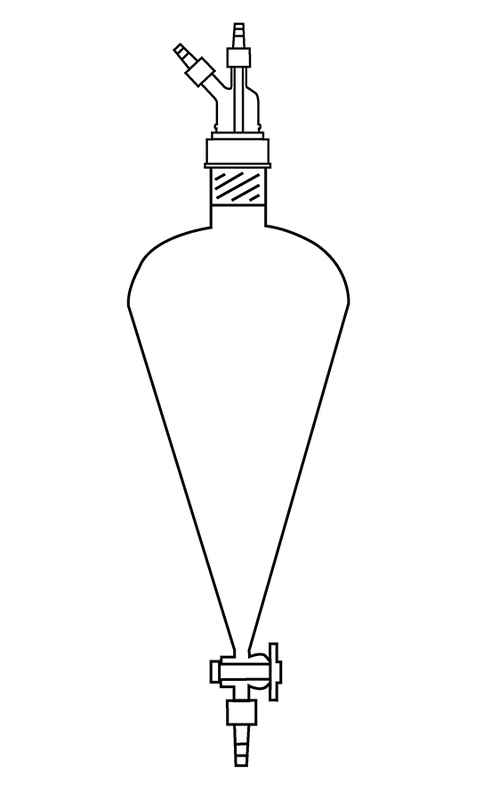 This cap has an improved recessed port for increased velocity when self mixing. You can bank numerous units on one vacuum system with basic glass tees and valves. 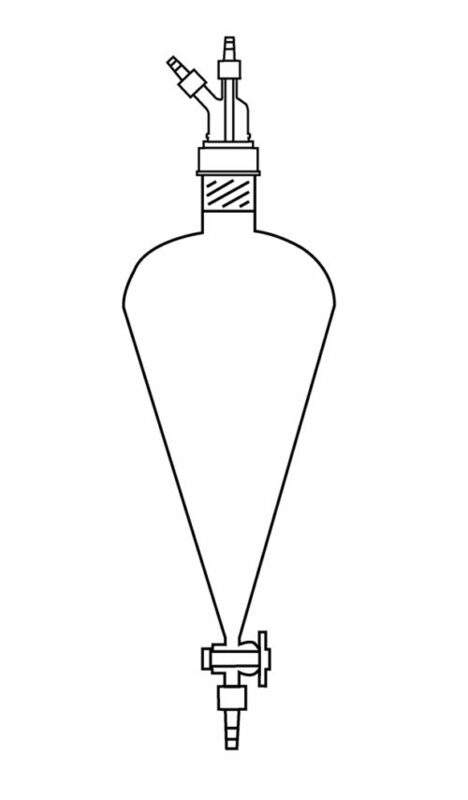 The application, with vacuum, will launch the washing solution into the loaded solution and properly mix them without having to remove the funnel from the stand, ever. 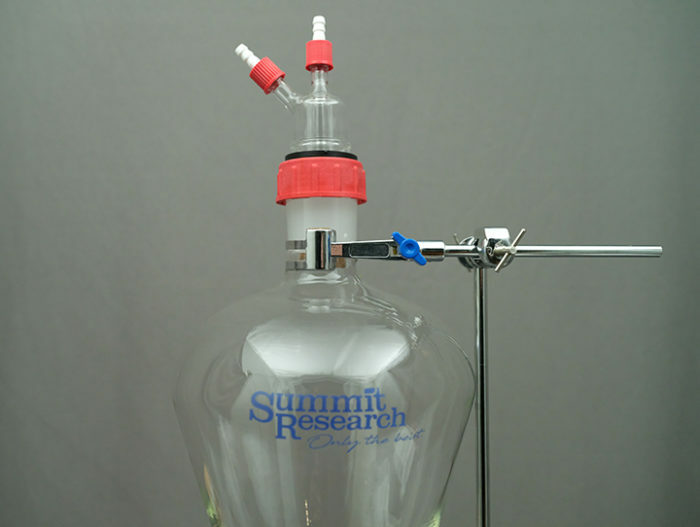 A Summit Research original that has become a staple in most labs. 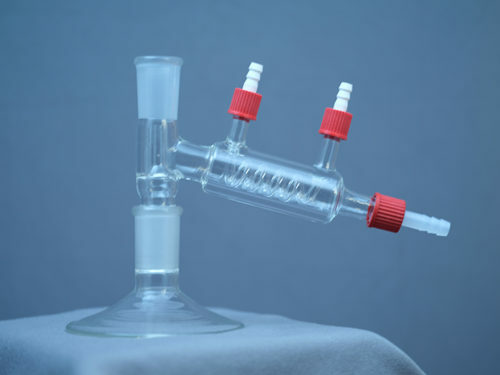 The no fuss separatory funnel comes with glassware body, complete rodaviss top and GL14 connectors with a GL18 lower discharge connector. 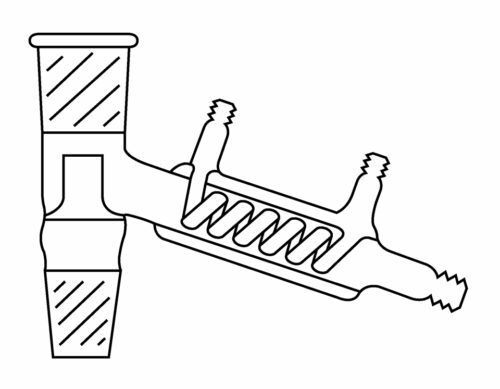 Stands, clamps and hoses are not included.